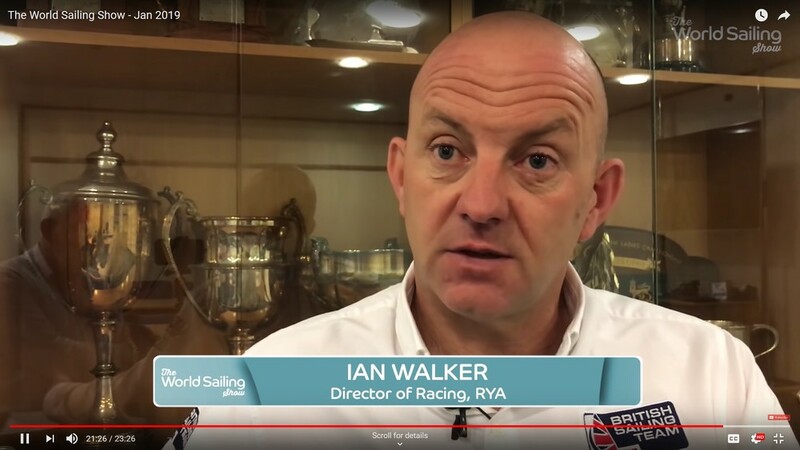 In this latest World Sailing Show they talk to Ian Walker, Director of Racing at the RYA, to get his thoughts on the move to Offshore racing in the Olympics. Plus a look at America’s Cup progress with the new generation of machines, the Route du Rhum, Susie Goodall’s dramatic Southern Ocean rescue and The Extreme Sailing Series in Mexico. You can jump to 21:30 to get Ian Walker’s take on the new Mixed Two Person Keelboat event which was voted on at the World Sailing Annual Conference in Sarasota, Florida. Interesting that an earlier RYA submission – M44-18 – which almost made it through at the May meeting – would have kept all events as 2020, except for the men’s 470 changing to an offshore event! So they got what they wanted, although they most likely did not mean to lose the Finn, in which Britain has won the last five Olympic gold medals. The alleged discrepancy in the vote recording was rejected by the WS Board and has now been finally confirmed with the apparent acceptance of the draft minutes by the WS Board members.